BACOLOD CITY, January 18, (PIA6) -- Bacolod Councilor Al Victor Espino, committee chairman on environment and ecology sat down with some 20 taxi drivers and operators in Bacolod City, in a committee hearing to listen to the stakeholders’ side on the SP proposal on the use of blinkers by taxi during emergency, a press release from City Hall said. 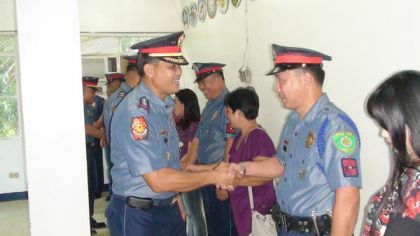 Bacolod City Police Office, head, Senior Supt. Ricardo de la Paz, said the gadget is not solely for hold-up cases but also in other times of emergencies. He recommended the use of the word ‘emergency’ to describe the blinkers, which shall scost P500 per unit. The color chosen for the blinkers was blue. Espino said the blinker should be identified in other cities and municipalities in Negros Occidental, proper information about its use should be communicated to authorities.